School’s out…forever! It’s been four long years coming, and now it’s time to enter the real world. Believe it yet? Neither can we! As the last finals are taken, and the questions about your future continue (we’re sure they’ve already started as soon as you entered that 4th year), take a break from #adulting and stay in denial with us just a tad bit longer. 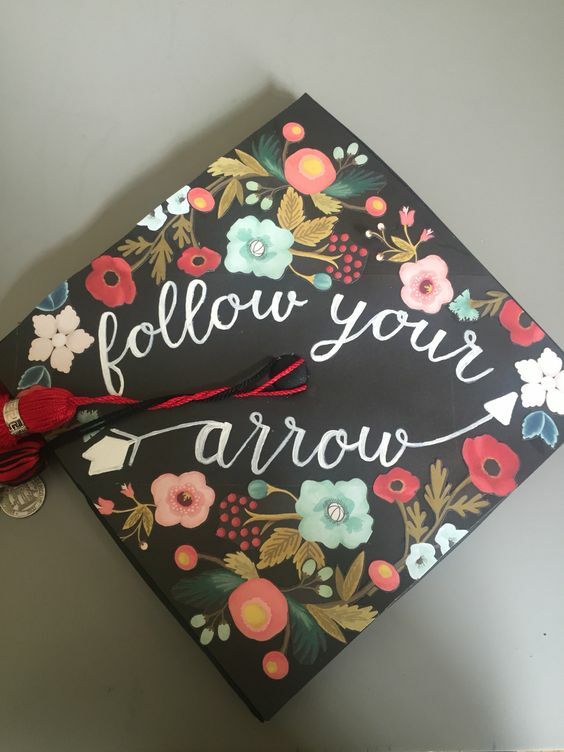 At least, just long enough to decorate graduation caps with us! 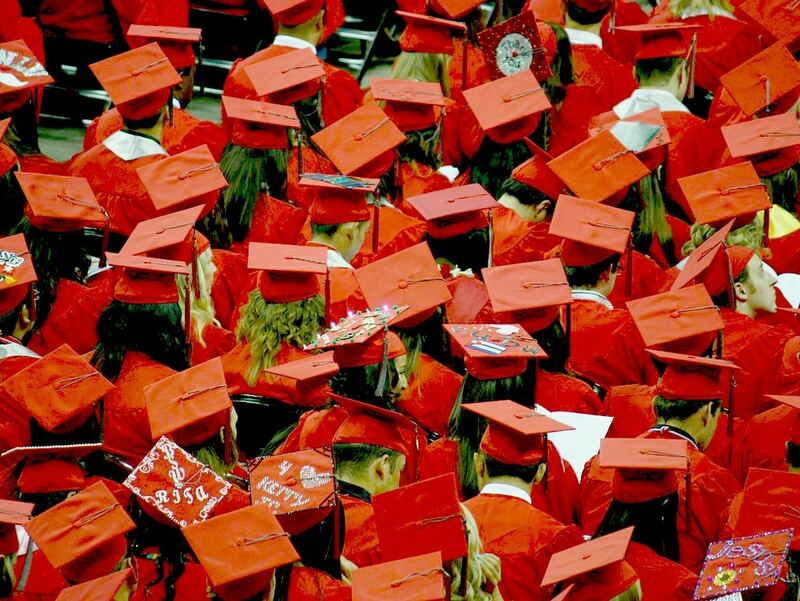 For most of you, this will be your final time donning a cap and gown to march across the stage and receive that all important paper certificate (long years of hard work for your diplomas and degrees? Psh, NBD). 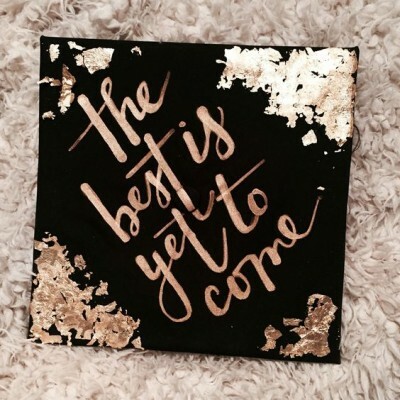 So, girlfriend, in the spirit of “last time, best time” and #YOLO, let’s get some grad cap inspo going, shall we? Gold foil is all the accent rage right now–why not make your cap as trendy as can be? Grad cap or craft masterpiece? Sweet, subtle, and full of meaning (we’re looking at you Pi Phi). It doesn’t scream “SORORITY! !” but does remind you that sisterhood is life. We’re all for profound musings and inspirational quotes, especially when floral appliques and gold sparkles are involved. Dress up your favorite thoughts with cute accents to make it mean something even more special to you! Overstated? Never! 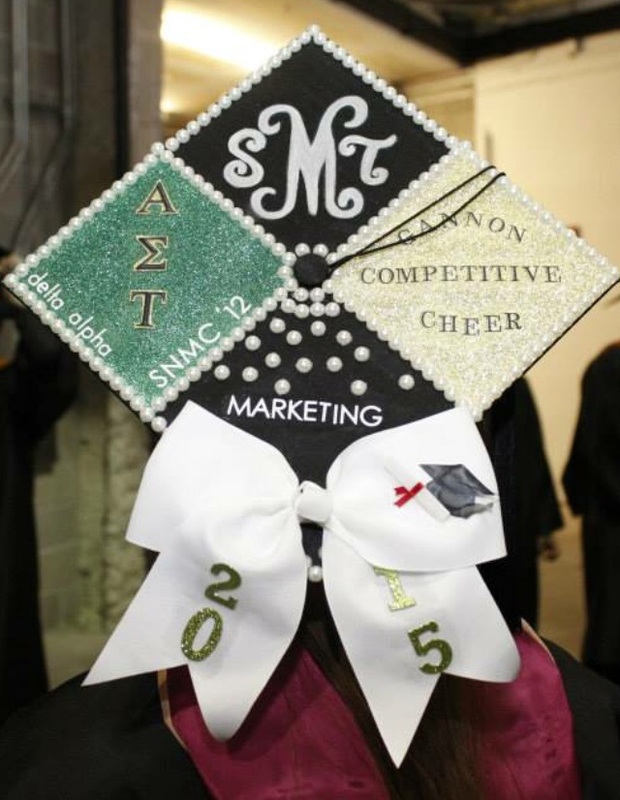 This is your last chance as a collegian to sport your letters so we say make the most of it! Dress it up with all your accomplishments; wear it loud and proud! There you have it A-Listers! Caps have become more and more creative as the years go on, so we would love to see what the class of 2016 has to offer! Snap a pic and send it our way so we can share to the class of 2020 what they need to prepare for the ultimate cap crafting sesh (it’s never too early to get ideas right?). Find us Instagram, Facebook, or send us an email at sisters@alistgreek.com! 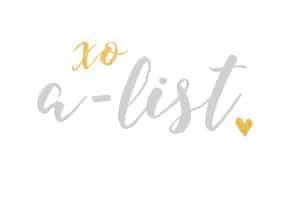 And if you need gift ideas for other seniors and graduates this year, let us help! 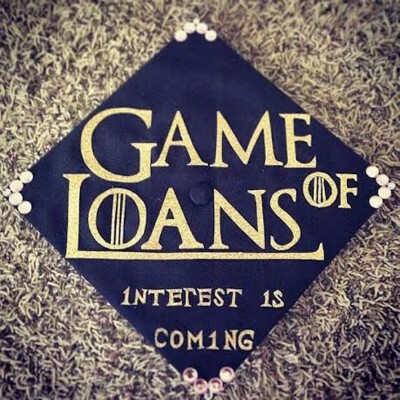 Check out our recent post “7 Graduation Gifts College Students Actually Want“. 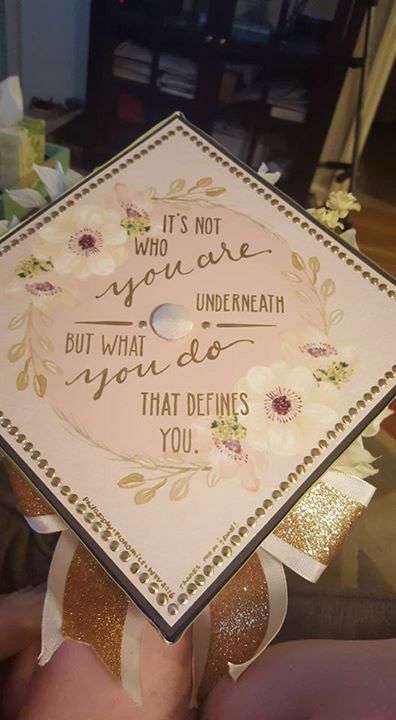 You can’t go wrong with something personal and customized for your grad, right? This entry was posted in Members Only: A blog for chics and Greeks alike. and tagged Crafting, Grad Caps, Graduation, Graduation Caps, seniors.